Was the apostle Paul, or Saul, a murderer? Did Paul kill someone before he was converted? There is no evidence for that Paul actually killed someone in his life, but he was still acting violently in his goal to pursue his religion which he had adapted to a Pharisaic variant where he was actively searching for converted Jews with the aim to get them imprisoned. 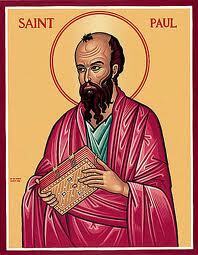 Paul first enters the Biblical scene with his original name Saul (later changed to Paul by Jesus himself), and this is when he consented to the stoning (to death) of Stephen in Acts 7-8. Paul did not participate in the stoning itself, but he did not decline to guard the clothes of those who did – which means that they trusted him in the matter, and he was on their side. Consenting to someone being killed/sentenced to death (or ”capital punishment”) is not the same as being a murderer himself. If that were the case, loads of people would be charged for being murderers today just for voting ”yes” to capital punishment. Paul would just be one in the crowd. 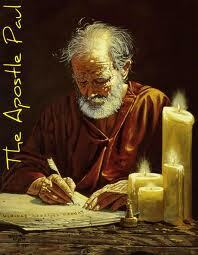 Still, due to Paul’s actions there were some disciples of Jesus who were put in jail and received a death sentence. Paul had no authority to decide about the sentence/punishment, but it certainly looks like he was not against capital punishment. Acts 7:56 And said, Behold, I see the heavens opened, and the Son of man standing on the right hand of God.57 Then they cried out with a loud voice, and stopped their ears, and ran upon him with one accord,58 And cast him out of the city, and stoned him: and the witnesses laid down their clothes at a young man’s feet, whose name was Saul.59 And they stoned Stephen, calling upon God, and saying, Lord Jesus, receive my spirit.60 And he kneeled down, and cried with a loud voice, Lord, lay not this sin to their charge. And when he had said this, he fell asleep. Acts 8:1 And Saul was consenting unto his death. And at that time there was a great persecution against the church which was at Jerusalem; and they were all scattered abroad throughout the regions of Judaea and Samaria, except the apostles.2 And devout men carried Stephen to his burial, and made great lamentation over him.3 As for Saul, he made havock of the church, entering into every house, and haling men and women committed them to prison.4 Therefore they that were scattered abroad went every where preaching the word. Acts 26:9 I verily thought with myself, that I ought to do many things contrary to the name of Jesus of Nazareth.10 Which thing I also did in Jerusalem: and many of the saints did I shut up in prison, having received authority from the chief priests; and when they were put to death, I gave my voice against them.11 And I punished them oft in every synagogue, and compelled them to blaspheme; and being exceedingly mad against them, I persecuted them even unto strange cities. So Saul caused mayhem in the church, and he entered into houses and caused people to end up in prison. Below we can also see that he was breathing threats and murder against them, but we still do not have any actual evidence that his violent treatment caused anyone to be killed. He did not hesitate to cause converted Jews to be brought bound to Jerusalem because of their (as he thought) incorrect belief – but this does not necessarily mean that anyone ended up being killed. Maybe there would be an increased risk of this if he had been able to pursue all his plans, but he was stopped by the famous vision of Jesus on his way to Damascus. So Saul/Paul was halted in his plans and chose not to pursue them after being converted. It is not certain that his aim even was to get Christians killed, but he definitely wanted to prevent them from maintaining their faith and spreading their faith to others – through all means possible. Even if there is no evidence for that Saul/Paul actually killed someone, was he not a murderer in heart since he approved of the stoning of Stephen, and probably would not mind if even more converted Jews were stoned to death? 1 John 3:15 Whoever hates his brother is a murderer, and you know that no murderer has eternal life abiding in him. It is true that whoever hates his brother is a murderer and is therefore not saved, but this is a different matter than the subject of whether Paul actually killed someone physically. There are people who store hatred in their hearts towards others but who have not killed anyone physically whether directly or indirectly, and who might even refuse to do so if they had a chance. They would therefore not be considered murderers. (Likewise, not all people would consider someone a murderer just because he/she votes for capital punishment in his country.) God will nevertheless one day judge our hearts on judgment day, and the key question is if we have repented for our sins or not. Phil. 3:6 Concerning zeal, persecuting the church; touching the righteousness which is in the law, blameless.7 But what things were gain to me, those I counted loss for Christ. 1 Cor. 15:9 For I am the least of the apostles, that am not meet to be called an apostle, because I persecuted the church of God.10 But by the grace of God I am what I am: and his grace which was bestowed upon me was not in vain; but I laboured more abundantly than they all: yet not I, but the grace of God which was with me. Acts 9:13 Then Ananias answered, Lord, I have heard by many of this man, how much evil he hath done to thy saints at Jerusalem:14 And here he hath authority from the chief priests to bind all that call on thy name. Acts 9:4 And he fell to the earth, and heard a voice saying unto him, Saul, Saul, why persecutest thou me?5 And he said, Who art thou, Lord? And the Lord said, I am Jesus whom thou persecutest: it is hard for thee to kick against the pricks.6 And he trembling and astonished said, Lord, what wilt thou have me to do? And the Lord said unto him, Arise, and go into the city, and it shall be told thee what thou must do. Acts 9:10 And there was a certain disciple at Damascus, named Ananias; and to him said the Lord in a vision, Ananias. And he said, Behold, I am here, Lord.11 And the Lord said unto him, Arise, and go into the street which is called Straight, and enquire in the house of Judas for one called Saul, of Tarsus: for, behold, he prayeth,12 And hath seen in a vision a man named Ananias coming in, and putting his hand on him, that he might receive his sight. — 15 But the Lord said unto him, Go thy way: for he is a chosen vessel unto me, to bear my name before the Gentiles, and kings, and the children of Israel:16 For I will shew him how great things he must suffer for my name’s sake.17 And Ananias went his way, and entered into the house; and putting his hands on him said, Brother Saul, the Lord, even Jesus, that appeared unto thee in the way as thou camest, hath sent me, that thou mightest receive thy sight, and be filled with the Holy Ghost.18 And immediately there fell from his eyes as it had been scales: and he received sight forthwith, and arose, and was baptized. When Paul was converted, he changed his way of thinking and left the old man behind. He walked the talk, and the man who wrote most letters in the New Testament was no hypocrite. Paul expected the followers of Jesus to have a pure heart and a good conscience, and he admitted that he was formerly a blasphemer and persecutor of the church. 1 Tim. 1:5 Now the end of the commandment is charity out of a pure heart, and of a good conscience, and of faith unfeigned:6 From which some having swerved have turned aside unto vain jangling;7 Desiring to be teachers of the law; understanding neither what they say, nor whereof they affirm.8 But we know that the law is good, if a man use it lawfully;9 Knowing this, that the law is not made for a righteous man, but for the lawless and disobedient, for the ungodly and for sinners, for unholy and profane, for murderers of fathers and murderers of mothers, for manslayers,—12 And I thank Christ Jesus our Lord, who hath enabled me, for that he counted me faithful, putting me into the ministry;13 Who was BEFORE a blasphemer, and a persecutor, and injurious: but I obtained mercy, because I did it ignorantly in unbelief. Rom. 2:5 But after thy hardness and impenitent heart treasurest up unto thyself wrath against the day of wrath and revelation of the righteous judgment of God;6 Who will render to every man according to his deeds:7 To them who by patient continuance in well doing seek for glory and honour and immortality, eternal life:8 But unto them that are contentious, and do not obey the truth, but obey unrighteousness, indignation and wrath,9 Tribulation and anguish, upon every soul of man that doeth evil, of the Jew first, and also of the Gentile;10 But glory, honour, and peace, to every man that worketh good, to the Jew first, and also to the Gentile:11 For there is no respect of persons with God.12 For as many as have sinned without law shall also perish without law: and as many as have sinned in the law shall be judged by the law;13 (For not the hearers of the law are just before God, but the doers of the law shall be justified.14 For when the Gentiles, which have not the law, do by nature the things contained in the law, these, having not the law, are a law unto themselves:15 Which shew the work of the law written in their hearts, their conscience also bearing witness, and their thoughts the mean while accusing or else excusing one another;)16 In the day when God shall judge the secrets of men by Jesus Christ according to my gospel. Romans 6:6 Knowing this, that our old man is crucified with him, that the body of sin might be destroyed, that henceforth we should not serve sin. — 12 Let not sin therefore reign in your mortal body, that ye should obey it in the lusts thereof.-— — 16 Know ye not, that to whom ye yield yourselves servants to obey, his servants ye are to whom ye obey; whether of SIN UNTO DEATH, or of obedience unto righteousness? — 21 What fruit had ye then in those things whereof ye are now ashamed? for the end of those things is death. Rom 8:1 There is therefore now no condemnation to them which are in Christ Jesus, who walk not after the flesh, but after the Spirit.—:4 That the righteousness of the law might be fulfilled in us, who walk not after the flesh, but after the Spirit.5 For they that are after the flesh do mind the things of the flesh; but they that are after the Spirit the things of the Spirit.6 For to be carnally minded is death; but to be spiritually minded is life and peace.— 13 For if ye live after the flesh, ye shall die: but if ye through the Spirit do mortify the deeds of the body, ye shall live.14 For as many as are led by the Spirit of God, they are the sons of God. Paul claimed that he (and his two coworkers) were holy, just and unblameable (which is the same as being ”perfect”), and he also claimed to have lived ”in all good conscience before God until this day”. A person who sins evidently does not live with a good conscience.